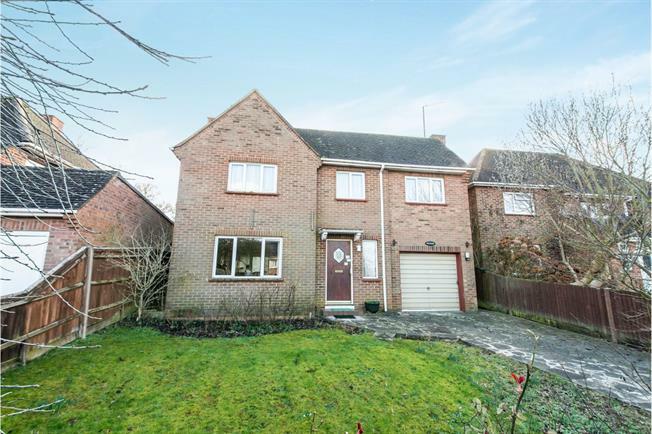 4 Bedroom Detached House For Sale in Basingstoke for Asking Price £450,000. This property's price has dropped from £500,000 to Asking Price £450,000. A four bedroom detached family home with a lot of potential which is located in a favourable position within Eastrop. The ground floor comprises a lounge, dining room, kitchen, conservatory, wet room and access to the integral garage. The first floor features four bedrooms, three of which are doubles with built in wardrobes. There is also a family bathroom. Externally the property boasts a large, south-facing and enclosed rear garden. To the front there is a driveway and garden that could be made to more parking. This property is being sold with no onward chain.